When it comes to Quinnipiac Athletics, nobody has brought more national success to their respective team than Ilona Maher. 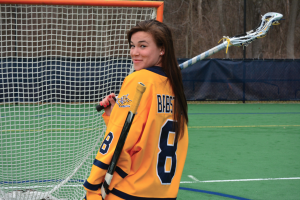 She brought the Bobcats to three national championships during her time in Hamden. From a personal standpoint, she won the M. A. Sorensen Award, given to the nation’s top player, her junior year, and is nominated for the award again this season. Not to be outdone, Jessica Lee continued her reign as one of the most dominant sprinters in the Northeast. 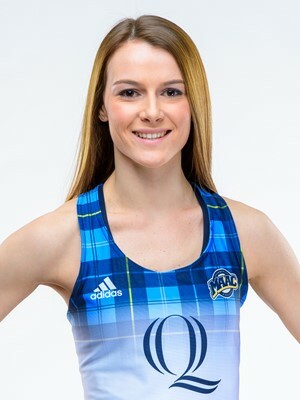 She captured three MAAC individual titles, and an ECAC title for the 60-meter hurdles this year. She also improved on the school record for the 100-meter dash, which she already owns. 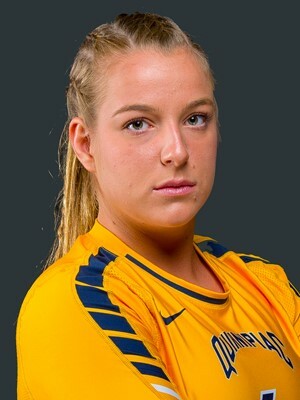 She led her team to a second-place finish in the MAAC, and leaves Quinnipiac with a decorated career. Angie King played a crucial role in the field hockey team’s transition from the MAAC to the Big East conference in 2016. In 2015 she was named the 2015 NCAA Division I Statistical Champion in Defensive Saves. In 2016, King tallied a team-high 13 defensive saves and was named to the 2016 United States High Performance North Training squad. She was also named to the 2016 All-Big East 2nd team. King was nominated for the NCAA Woman of the Year Award in 2017, only the third Bobcat to be nominated in school history. Her lengthy list of accomplishments was more than enough to land her a spot on this list. 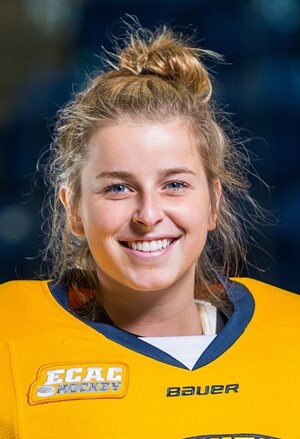 Syd Rossman left Quinnipiac with a laundry list of personal accolades as long as her goalie stick. Rossman took home ECAC Goaltender of the Year Award her junior year, and was nominated for Player of the Year that same season. That same season, she carried the Bobcats to a NCAA Tournament berth, the second consecutive appearance for the team. She continued her success her senior year, and established herself as one of the premiere goaltenders in the ECAC over the last decade. Although he exchanged the blue and gold of the Bobcats for a professional sweater a year early, Sam Anas exited Hamden as one of the most dominant players in Quinnipiac hockey history. As a freshman, the Maryland native led Rand Pecknold’s 2013-14 squad with 43 points on their way to an appearance in the NCAA Men’s Ice Hockey Championship game. 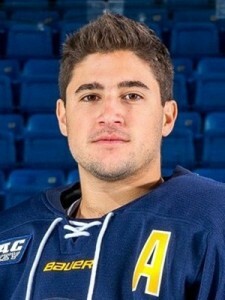 Not only that, Anas took home the Tim Taylor Award, awarded to the best freshman in all of college hockey. Known for his speed and knack to find the back of the net, the potent scorer managed to rack up over 20 goals per season along with 132 points. Anas sits seventh on the all-time career goals list with 69, making him one of the most dynamic offensive players in recent men’s hockey history. Cydney Roesler left her mark as one of the best defensemen in Quinnipiac women’s hockey history. The Stittsville, Ontario native led the team in blocked shots twice in her four years with the Bobcats. She finished off her career with 52 points in 141 games and was the fourth defenseman to record 50 points in team history. 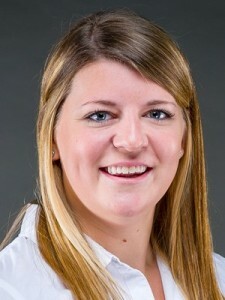 Currently a member of the Connecticut Whale, Roesler helped lead the team to two NCAA Tournaments during her time with the program. Coming to Quinnipiac already drafted by an NHL team, Matthew Peca came to Hamden with immense pressure on his shoulders. The Ontario native embraced the responsibility throughout his Bobcats tenure, as he displayed steady leadership and a keen eye for a pass throughout his collegiate career. 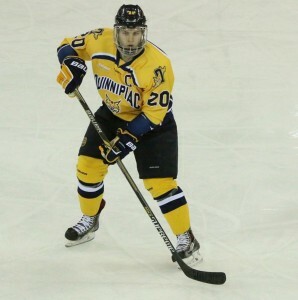 Peca tallied 70 assists as a Bobcat, including 29 of them in his senior season. The current Tampa Bay Lightning player is most well-known for scoring the fastest natural hat trick in NCAA Tournament History during the 2012-13 season, a game that reminded the Bobcat faithful there was only one Matthew Peca. Jordan Paolucci is one of the best hitters in Quinnipiac Softball history. 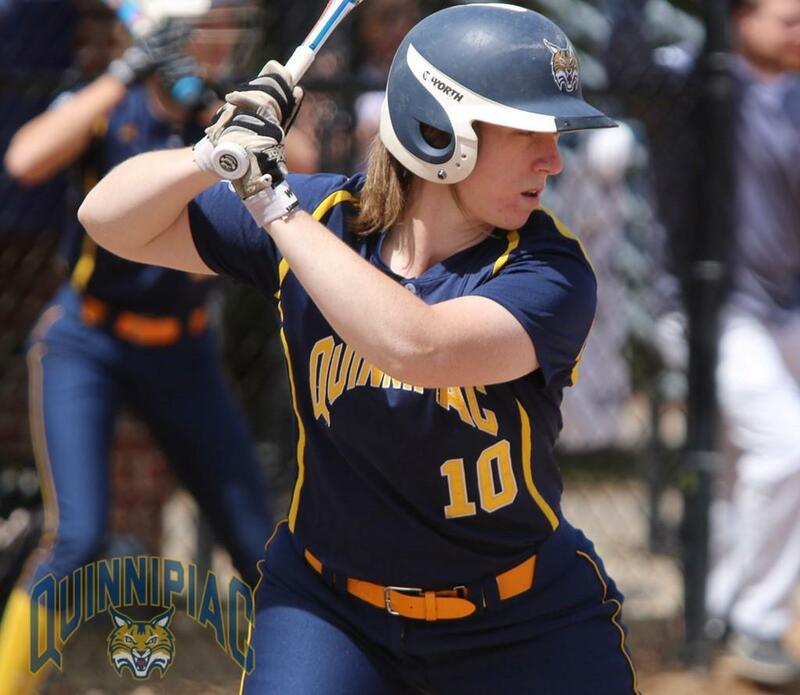 She leads Quinnipiac’s career records in home runs (40) and RBIs (129). In her junior season, she led the team in hits, home runs, RBIs, slugging percentage, and on-base percentage, finishing with a .357 batting average. Because Paolucci has yet to be knocked off of her two record-holding spots, she is still remembered as one of the best softball players to come through the program. Kelly Babstock stands out above most graduating 2014 seniors for many reasons. 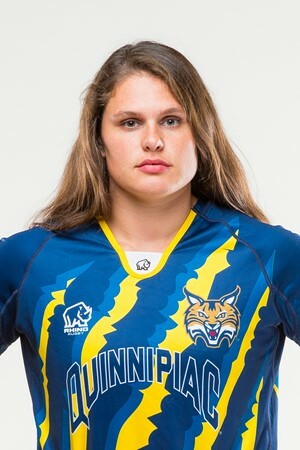 Most impressively, after playing four years on the women’s hockey team, Babstock finished out her senior year playing for the women’s lacrosse team. While playing for the hockey team, she finished her career scoring 95 goals, 108 assists for a total of 203 points in 147 games. 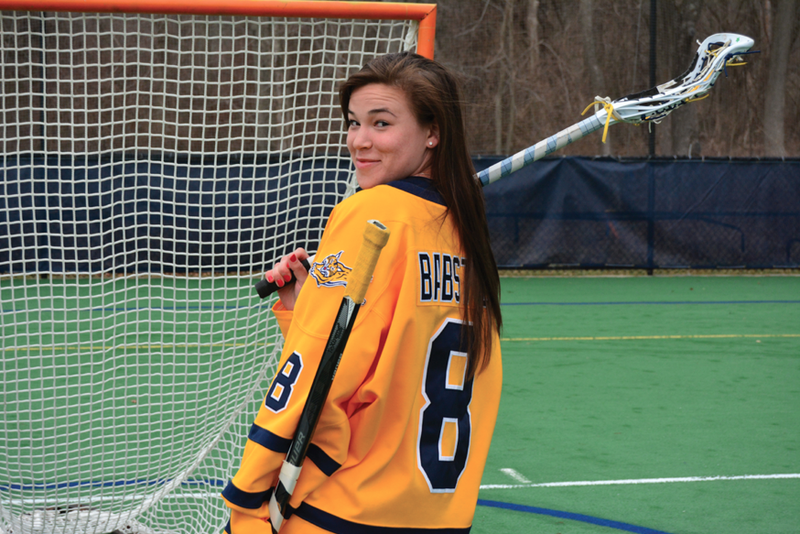 Upon her transition to lacrosse, Babstock was named to the 2014 MAAC All-Rookie Team. She finished the year with 21 points, which slotted her second on the team. 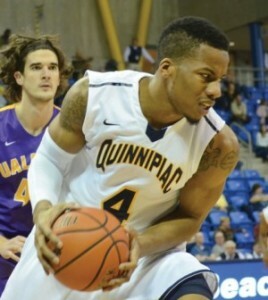 Ike Azotam made quite the impact on the men’s basketball team during his time at Quinnipiac. He led the team in scoring during his junior and senior seasons, scoring 421 points in 2013 and 520 in 2014. He led the team in rebounds during his sophomore, junior and senior seasons. He was selected for the All-MAAC First Team in 2014. Azotam finished his Quinnipiac career with 1,605 points, making him one of the best athletes to graduate in 2014.